We typically need a performance area of 5x3 metres, but we are able to work with a minimum area of 4x2 metres. If space is more limited. We’ve performed in all types of venue, from manor houses and hotels, to barns, marquees, ball rooms and intimate clubs so we’re well versed in making the most of whatever space is available to us. Please consider the following points when arranging the timings for the band performances. We will always be happy to play lighter background music playlists for when guests arrive. We are happy to cater any times to suit your needs. We are more than happy for you to pick which songs from our repertoire are played, but we do prefer if we are left to decide the order in which they are played. It is usually best if you let us know any songs you definitely DO or DON’T want rather than a ordered play list. We need to have the freedom to cater for all your guests and may need deviate to involve all of your guests. We are Based in London but are always up for a road trip! Due to the nature of our work, we don't play many public gigs as all of the events we perform at tend to be private parties. We are happy to consider learning your special song. It largely depends on whether the particular song fits our playing style and sound. It would be difficult for us to pull off certain songs with orchestral backing, for example, due to our instrumentation, but we are always up for a challenge. Just let our agent know on booking if there are any special requests. We believe in giving you a true insight into our live performance energy and sound. You can book us through the enquiry form on this website or through our agency www.alivenetwork.com . You can also email or call our booking agents on 0845 108 5500. We also accept informal enquiries via our Facebook page (https://www.facebook.com/Swamp-Cats-170245473394765/), where we will be happy to talk through your event in person. We only offer a background music playlist option. Can we make playlist requests in advance to my event? Any requests for the playlist service will only be possible if we already own the music you require. We do not purchase music for clients due to the costs this can incur. Clients will often provide us with an iPod/MP3 player, or laptop with their own playlist on, but if you give us an idea of artists and genres you prefer, we will cater for your tastes effectively. If you would like particular songs played at specific times during the evening, please provide the music via one of the above methods along with a schedule of your evening. We use a simple but strong set up of 2 guitars, bass and drums. The classic rock’n’roll set up to really get that vintage feel, backed by a 2000 Watt Pa system, a yamaha 16 channel mixer and a beautiful selection of amps. We do offer some cool lights for your event, trippy strobes or just casual mood lighting. we’ve got whatever you need for your night. We typically play 2x60 minute sets but we offer and extra hour set as another package. if you really cant get enough we can play for longer, just let our agent know how long you need us for and the deals a gooden. We love it when people get up to sing a song with us! We usually wear our own swanky clothes to our events but if there is a dress code we can fit in with whatever is needed. Why should I book the Swamp Cats? The Swamp Cats are the newest cats on the block, our vintage sound and retro feel is exactly what you need to bring your party to life. It even makes new, contemporary songs an edgy feel. They have been performing together for years and it shows on stage and their music speaks for itself. Prices vary slightly based on the time of year, the location of your event, timings, and any upgrade options, but our standard price starts at £1325 including VAT. We don't charge for the time it takes for us to travel to the gig. 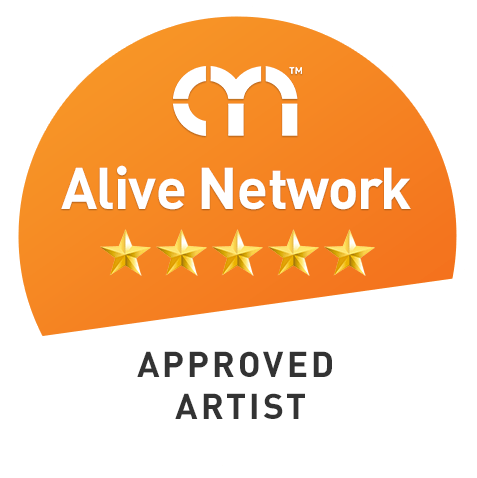 Of course, we have lots of happy clients with kind words to say on the Alive Network website. Do Swamp Cats have any specific requirements? Do Swamp Cats offer any additional services? We offer a number of additional services at very competitive rates: From ceremony music, acoustic sets during dinner, additional/extended DJ service. Please email us for more information.